I thought it would be fun to share some snaps from my home. 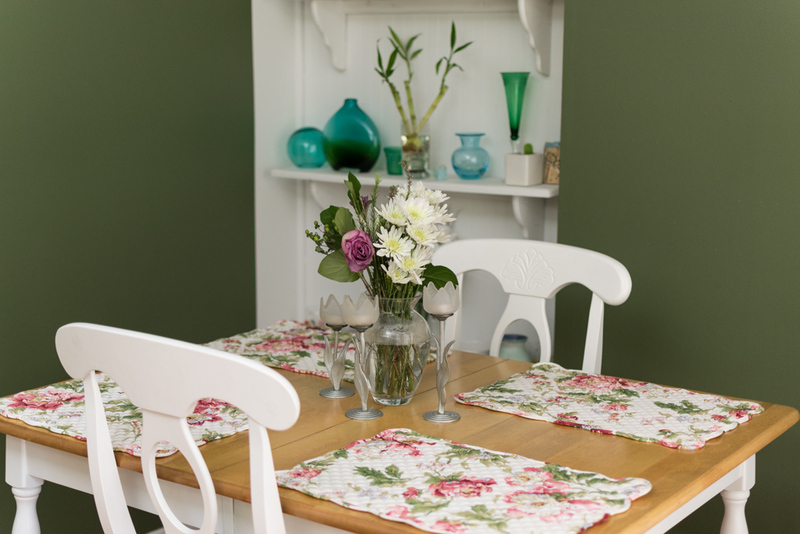 I've shared a few of the rooms before but I don't think I've ever shown pictures of the dining room. If you're wondering no we didn't choose that green color, it was that way when we moved in, we just haven't gotten around to painting it! The other photographs are from my office/closet space. If you have any questions about where items are from just let me know! The dining room hasn't been clean since before THANKSGIVING- not even kidding. We've had gift wrap, cookie platters, and decorations scattered about. This weekend I decided this room needed to get back into order and I'm so happy it's finally clean! I like to have breakfast in here on the weekends because it's so Sunny. 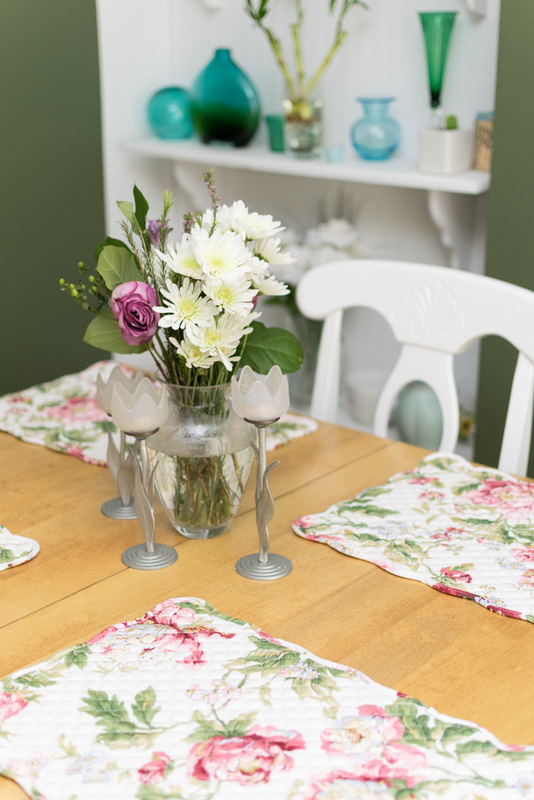 I've had to find decor items that will match this oh so lovely green wall color and I think these floral place mats are perfect- they have me dreaming of warm spring days! 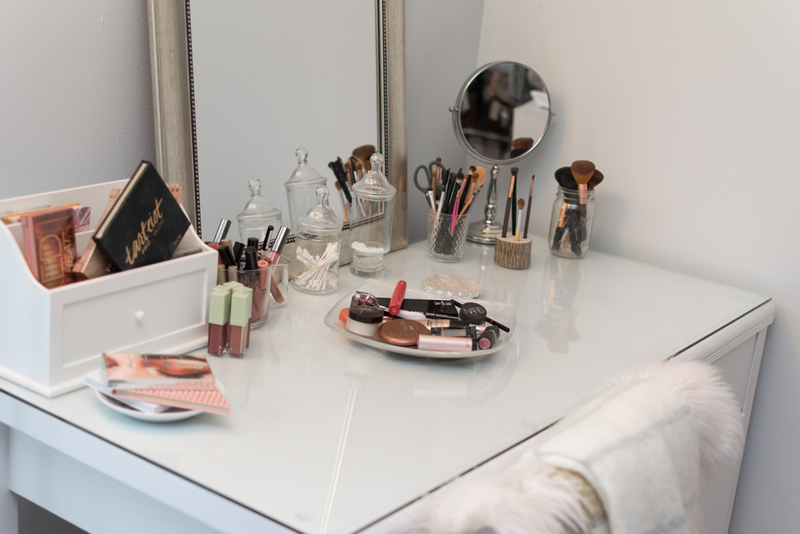 My office may look clean right now but I can promise you it's not always that clean, 95% of the time there are clothes in a pile on the furry stool and my makeup is scattered all over the vanity. I spend a lot of time in this room so I love how much natural light it has. It's a very bright happy space that I truly enjoy being in. It's nice to have a spot that's girly and all mine! Your space is so pretty! You have such a great eye for decor! 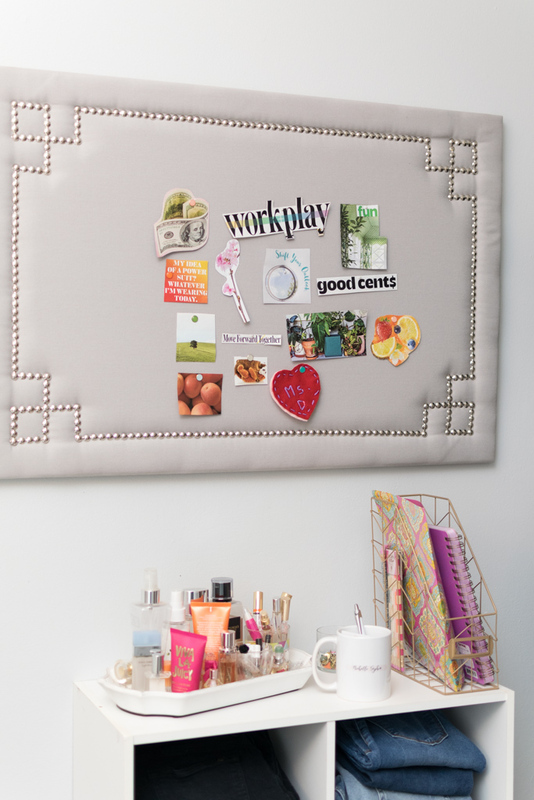 Your office space is so cute! I am hoping mine looks this cute soon. 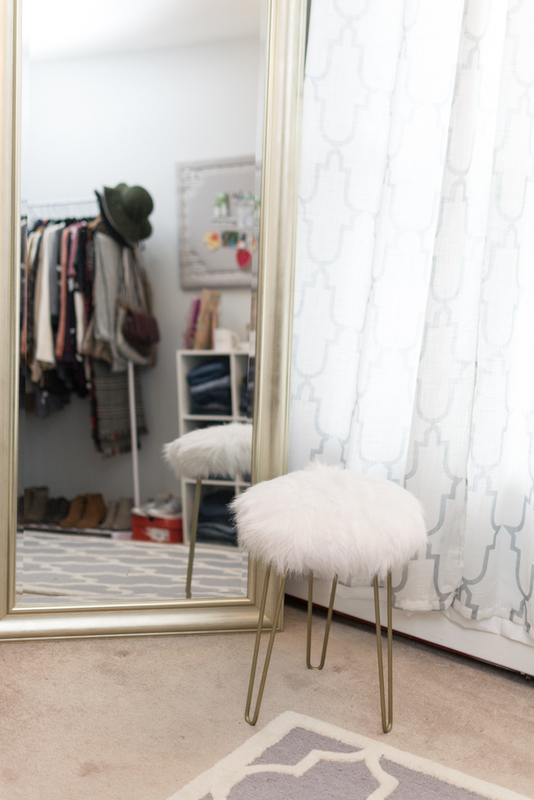 LOVE your vanity space-- your decor is super cute too! 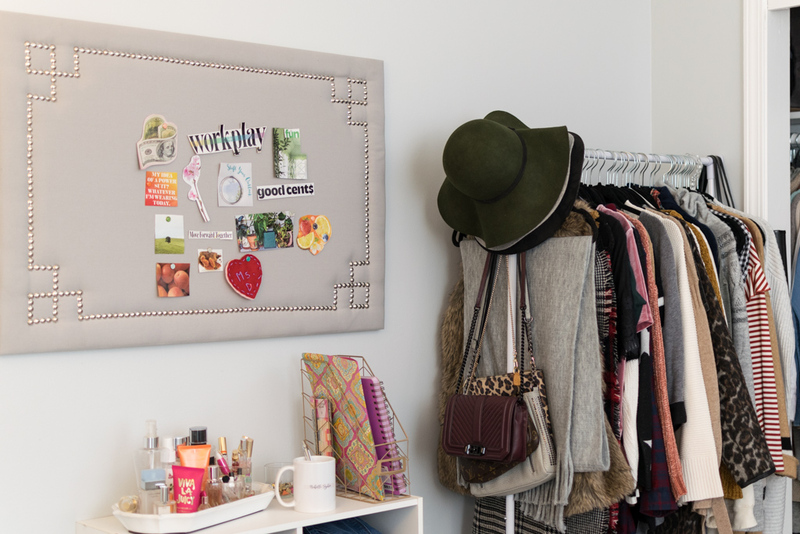 Ooh your decor choices are so pretty and cohesive! Love the pop of green! I absolutely love everything, but your vanity is my favorite! My room is probably my favorite! 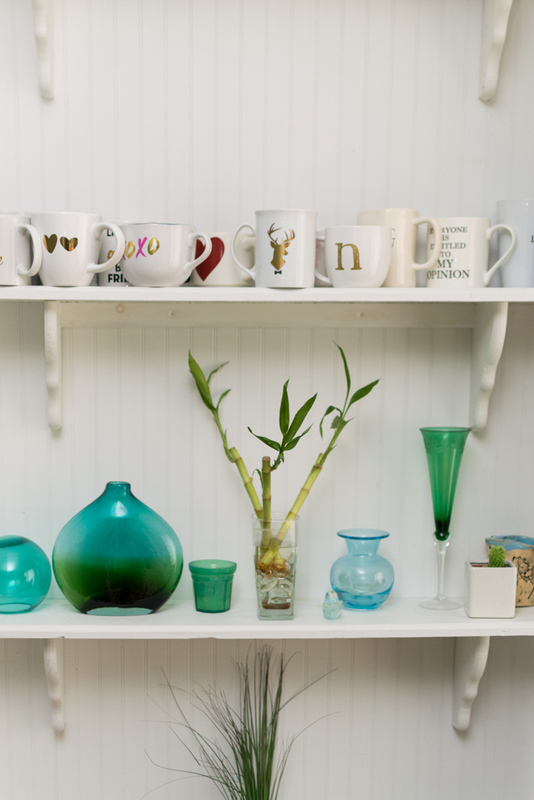 Your mug collection is amazing. 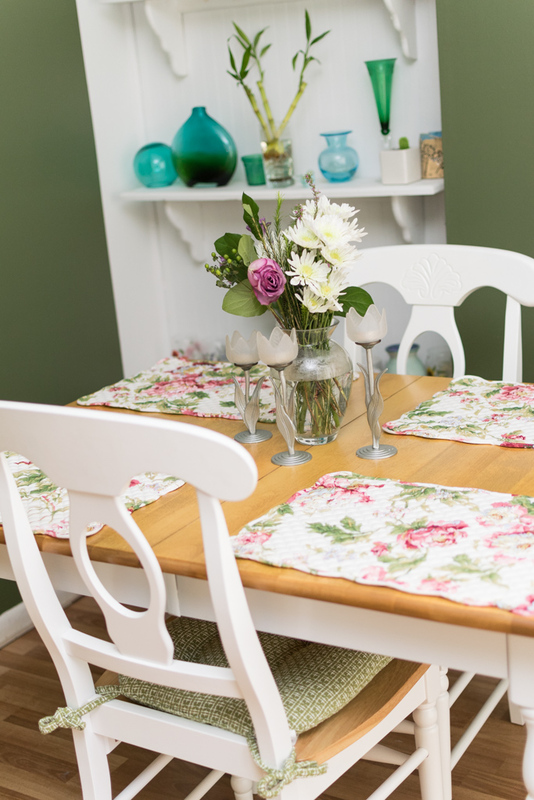 Your dining room has me wishing it was spring! I only have a room as a space because I live in a dormitory but your decirbis so cool! I wish I knew how to set up my home! I love your decorating style! My favorite has to be the dining room. I love all the feminine and floral touches!